granite. At the four corners of the courtyard rise the four great minarets. 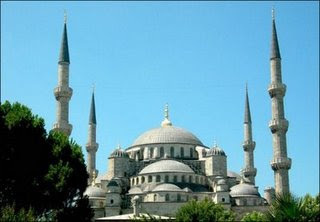 The four minarets are said to signify that Suleiman was the fourth sultan to rule in Istanbul and the 10 balconies denote that he was the 10th Sultan of the Ottoman Dynasty.